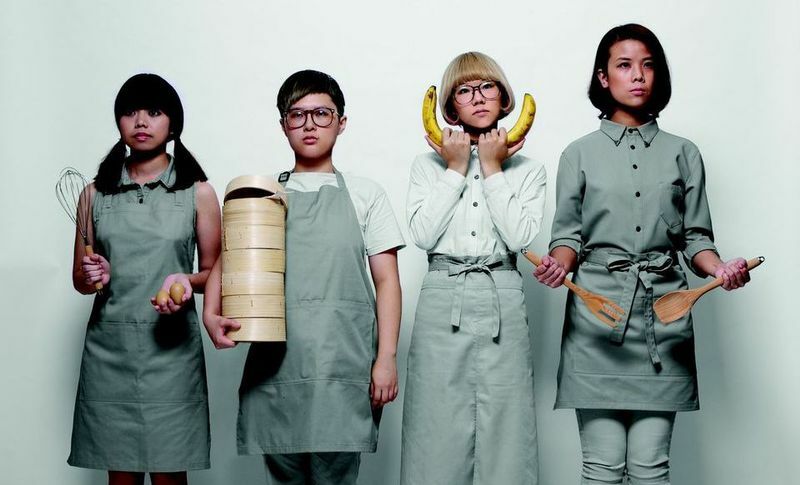 GDJYB is the rough phonetic acronym of this Hong Kong band’s Cantonese name, 雞蛋蒸肉餅 – a traditional dish made with steamed egg and pork. Despite its cutesy name, one of this group’s defining characteristics is the strong social commentary in its songs. The band’s changing tempos and patterns bring something distinctive and fresh to the indie music scene. In 2014, the girls were chosen as one of the “23 New Rising Stars in Hong Kong’s New Music” by Time Out Hong Kong magazine, and released their debut EP in September that year. The following year, they played in Taiwan Wake Up Music Festival, and had their first mini concert in Taipei.